Put your auto transport in our helpful hands! Are you relocating for a job? Did you purchase an auto on the Internet from eBay or Cars.com? Are you a snowbird who moves between summer and winter homes? No matter what the reason, we will help transport your auto as if it is our own. We are a licensed broker specializing in the transport of cars, SUVs and trucks anywhere in the U.S. ​​While it seems like a simple task to get your car from point A to point B, the auto transport industry is extremely fragmented and inconsistent with thousands of trucking companies vying for your business. Unfortunately, no one has control over the trucker, weather or road delays. To reduce risk, working with an auto broker is the most effective and efficient way to go. However, not all auto brokers are created equal. 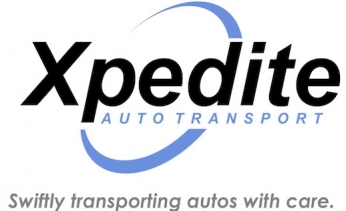 Xpedite Auto Transport is transparent, friendly, helpful and reliable. We are licensed, insured and bonded and so are the trucking companies we work with. ​And most important, your satisfaction is our priority. Our team has more than 50 years of customer service, sales and management experience that we leverage to get you the best transport quality for the best price in an efficient and timely manner. We have access to hundreds of licensed, insured and bonded trucking companies, as well as feedback ratings from their clients, allowing us to be discriminating to get you the best quote possible. We listen to your specific needs and priorities and present you with a range of options. You decide the best situation to meet your needs and budget. ​​We work for you! We keep you informed from first contact to delivery. Nothing is more frustrating than requesting a quote from a broker or directly from a trucking company and not hearing back for days. From our perspective, this is not acceptable. Working with Xpedite Auto Transport is like having a personal assistant managing your delivery. Our team diligently tracks your auto delivery and follows up with the trucking company and you until your auto arrives at its destination. And, we are completely transparent throughout the process. Our job is not done until your auto is delivered. We have you covered!